Lockheed GTD-21, a reconnaissance drone developed during the 1960s as a means of compliance with President Kennedy’s pledge to cease manned recon missions over the USSR after the loss of the U-2 piloted by Gary Powers. The GTD-21 was carried on top of a modified A-12 (later a modified B-52H) and launched near the area to be observed, so that only the unmanned drone would actually fly over the territory of the target country. When the mission was complete, the drone would jettison its camera package for parachute recovery by a C-130, and then the drone would self-destruct. Because of the secret nature of the aerial reconnaissance program, the GTD-21 was not known to the public until 1977, and to this day little is known about its actual service. The GTD-21 drone had a wingspan of 19′ and length of 43′. The drone’s ramjet engine required speed in excess of Mach 2.2 for ignition. When the drone was carried by the A-12, this initial speed was attained by the carrying aircraft prior to launch; when carried by the B-52H, a rocket booster was used to get the drone to the necessary speed. 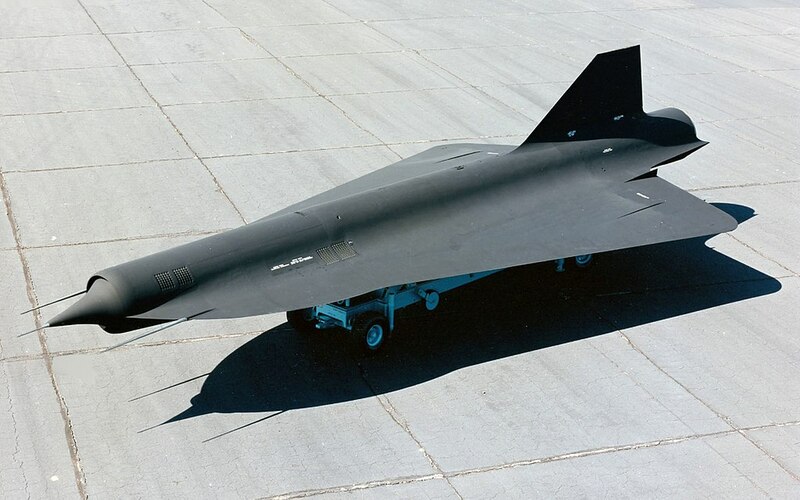 The D-21, dubbed Project Senior Bowl, was a Mach 4 reconnaissance RPV designed jointly by Lockheed Missiles and Space and Lockheed’s Skunkworks, designed to be launched from Lockheed’s A-12 and flown over territory that was considered too risky for the manned A-12. Data obtained by the D-21 was relayed either to the A-12 (called MOTHER GOOSE during these missions) or to a nearby ground station. Construction was of Lockheed-developed heat-resistant plastics and RAM, and its shape was designed for low RCS. 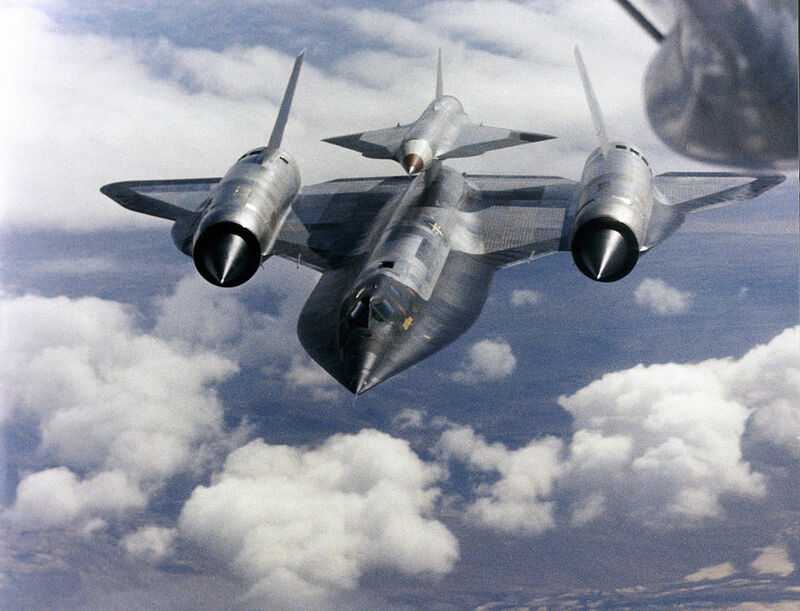 Wing planform was similar to that of the speedy A-12, but it had only one powerplant, a single low-detectability signature Marquardt RJ43-MA-11 ramjet engine, and one vertical fin. Engine air intake design used the same automatic translating spike design as the A-12. Only 38 D-21s were built, and 20 were lost during the drone’s short service life. For launching from the A-12, the D-21 was carried on an aft dorsal fuselage pylon, but during most of the D-21’s operational missions, it was launched from two B-52H bombers modified for D-21 launches. On the B-52H, two D-21s were carried on the in-board external pylons under the bomber’s wings, and for these launches a boost rocket engine with its own fuel tank was mounted beneath the D-21. After launching, the boost engine accelerated the D-21 to about Mach 2.5, at which speed the drone’s own ramjet engine could take over and push the drone up its Mach 4 cruising speed. During most of its missions, the D-21 cruised over 100,000 feet. The U. S. Air Force’s 4200th Test Wing at Beale AFB in California was the operational B-52H/D-21 unit, although the most valuable D-21 reconnaissance flights were accomplished from bases where the B-52Hs were assigned on temporary duty. The D-21’s lack of success when launched from the A-12 might have been because many accidents occurred during launching. Two A-12s were modified to launch the D-21, but one was lost during a test launching of a D-21 from the aft dorsal pylon that is installed between the A-12’s vertical fins. To keep the D-21 from slowing down its host A-12, and aerodynamic fairing covered the D-21’s ramjet air inlet when the drone was being carried.